Skincare is a subject that is important to all, as healthy skin gives a boost to one’s appearance and confidence. Women are especially concerned about their skin. Taking care of your skin is important and requires some extra measures. Skincare involves both internal and external measures, you can achieve a healthy skin by working both on your diet and your external beauty regime. There are a lot of factors that affect the skin and make it dull. But there are also a number of ways you can revitalize your skin and make it healthy and glowing. There are several vitamins and minerals that are vital for good skin that provide nourishment and regenerate the skin. There are also a few things that are bad for overall health and specifically show signs of bad health on the outer skin. The most important thing to keep your skin healthy and younger is to protect it from sun rays which have extremely harmful effect on the skin if exposed for too long. The UV rays from the sun are harmful for the skin, therefore it is important to use sunscreen or sunblock when going out in the sun. Even if its cloudy outside and there are no direct sunrays you should always wear sunscreen before going out. Protection from the sunlight is proven to be anti-aging for the skin. There are fewer wrinkles and blemishes on people who use sun block regularly. So protection from sunlight plays a key role in good skincare. Vitamins and minerals are extremely important for skin. They provide nourishment to the skin and help it regenerate and rejuvenate. Foods such as fresh fruits and vegetables are good sources of several vitamins and minerals. There are certain vitamins which provide excellent benefits to the skin. Selecting these specific vitamins which are good for your skin and adding them to your diet and reaping their benefits is extremely useful for good skincare. Understanding of these vitamins help you target specific problem areas on your skin. Vitamins are also present in skin care products and cosmetics. Choosing skin care products which come with certain vitamins as their key ingredients can also help provide external source of these vitamins. 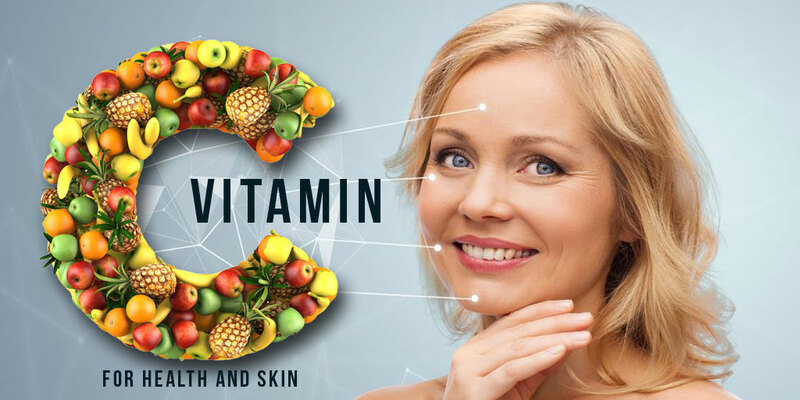 Vitamins like vitamin A, vitamin E, vitamin C, vitamin K, vitamin D and vitamin B are all essential for healthy skin. Vitamin E is an essential vitamin for the skin. It is responsible to protect the skin from harmful sunrays. It also keeps the skin conditioned and does not let it dry. Vitamin E is an antioxidant and is an important vitamin for skincare. This vitamin is produced by the body through sebum, it protects the skin from dryness, acne, and free radical damage. Vitamin E is found in good amounts in nuts like almonds, hazelnuts, seeds such as sunflower seeds, several fruits and vegetables and vegetable oils. Vitamin E supplements are also available in the market. Many skincare products and serums also have vitamin E in them. Vitamin E works best when combined with vitamin C. products with both vitamin E and vitamin C provide more effective results and nourishment for the skin. Vitamin C is a vitamin that has infinite benefits. It is widely used for treatments, prevention and curing diseases. Vitamin C is vital to the body. It is no surprise that it is extremely beneficial for the skin as well. Vitamin C is found abundantly in citrus fruits like grape fruit, oranges, lemon, tomatoes, strawberries and other green leafy vegetables. Vitamin C is important for good and healthy skin because it helps the body produce collagen which helps improve the elasticity of the skin and keep it firm and tight. Vitamin C also protects against free radical damage as it is an excellent antioxidant. It also helps reduce pigmentation and blemishes from the skin. Vitamin C is also present in serums, use Best vitamin C serums for skincare. Including vitamin C in your diet can improve the body’s ability to protect the skin against harmful UV rays from the sun. It also improves the durability and effectiveness of the sunscreen used for sun protection. It reduces cell damage and fights the aging elements. Vitamin C helps even out the skin tone and also heal the skin in case of any damage to it. Another vitamin that you will find in most of the products related to skin care is vitamin A. This vitamin is also an antioxidant which can be found in a number of foods like spinach, carrots, and sweet potatoes and in fruits such as mangoes. Vitamin A has many derivatives which can be used in eliminating wrinkles and give you a smooth looking skin. Retinoid is also a form of vitamin A which is found in dairy products, eggs and also in beef. Vitamin A helps reduce roughness, dryness and wrinkles. Vitamin A production can be increased in the body by increasing the intake of foods rich in vitamin E. The process of keratinization and sebum production is also regulated with ample intake of vitamin A. Our body gets vitamin D from sunlight. Where prolong exposure to sunlight without wearing sunscreen with high SPF can have an adverse effect, sunlight is important for producing vitamin D in the body. 10-15 minutes a day are important to soak up vitamin D from sunlight through your skin. There are supplements of vitamin D available to help meet the daily requirement of the vitamin in the body. It is also found in eggs, mushrooms and fish. Vitamin D helps reduce acne and also help fight infections. Vitamin B3 helps fight the aging effects on the skin. It also helps brighten the skin and its derivatives are found in many skincare and beauty products. This vitamin is also known as niacin. Niacin enhances the texture of the skin and also controls the sebum excretion rate. I is also responsible for stimulating collagen synthesis and producing ceramide. Cabbage, liver, lettuce, green beans, milk and kale are all rich sources of vitamin K. Vitamin K helps in coagulating blood and also helps heal wounds and bruises. Dark circles, scars, stretch marks and spider veins can be reduced with intake of foods with vitamin K in them. Dark circles and spider veins can be treated with vitamin K because these problems are related to the blood circulatory issues in the body. Vitamin K helps solve these issues that cause dark skin leaving the skin bright and healthy. There are a many different creams that have vitamin K in them which can be applied topically on the skin. Different variants of Vitamin B are beneficial for overall healthy looking skin. Vitamin B family has many benefits and can be used in many forms. One of such Vitamin B is vitamin B5 which is also known as pantothenic acid and D-Panthenol. Vitamin B5 is the best vitamin you can give your skin for hydration. This vitamin helps the skin retain water and moisture in the skin. Hydration is extremely important for the skin as we all have heard the skin benefits of drinking plenty of water. Many beauty and skincare products have vitamin B5 included in the ingredients to prevent water loss from the skin. Avocados, chicken and wholegrains also contain vitamin B5. This vitamin also has anti-inflammatory properties.